Tor Books, 2015. Paperback. Good. Disclaimer:A copy that has been read, but remains in clean condition. All pages are intact, and the cover is intact. The spine may show signs of wear. Pages can include limited notes and highlighting, and the copy can include previous owner inscriptions. At ThriftBooks, our motto is: Read More, Spend Less.Dust jacket quality is not guaranteed. Paperback. New. 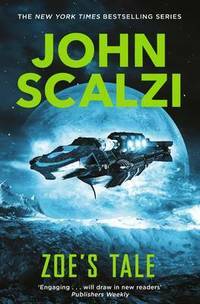 The fourth book in John Scalzi's exciting sci-fi series which started with Old Man's War. Tor Books. PAPERBACK. 1447295358 Brand New ,Original Book , Direct from Source , Express 5-8 Business days worldwide Delivery. . New. Tor, 2015 Book. New. Paperback. New and in stock. 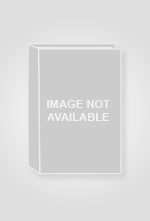 John Scalzi - Zoe's Tale - Paperback. Book. BRAND NEW. Tor Books. Paperback. 1447295358 Please allow 4 - 14 business days for Standard shipping, within the US. Thank you for supporting our small, family-owned business! . Fair. 2015-12-03. New Edition. Tor Books. Paperback. 1447295358 Please allow 4 - 14 business days for Standard shipping, within the US. Thank you for supporting our small, family-owned business! . New. 2015-12-03. New Edition. Tor Books. Paperback. 1447295358 Please allow 4 - 14 business days for Standard shipping, within the US. Thank you for supporting our small, family-owned business! . Fine. 2015-12-03. New Edition. 2015-09-01. Good. Ships with Tracking Number! INTERNATIONAL WORLDWIDE Shipping available. May not contain Access Codes or Supplements. May be ex-library. Shipping & Handling by region. Buy with confidence, excellent customer service!